Chlorophyll may be green, but it is no novice or newcomer when it comes to providing numerous health benefits for humans. Like many green vegetables, chlorophyll is a great source of vitamins A, C, E and K, and its versatility includes the capacity to stimulate our immune systems, detoxify our blood and even rid our bodies of bad odors. So, we ask, what exactly is chlorophyll, and what makes it such a bountiful source of health benefits? Most of us already knew that chlorophyll is what gives green vegetation, including the grass we run and play on, its green color. In fact, it is the green pigment found in plants that promotes the retention of sunlight. Per organicfacts.net, the chlorophyll then converts the captured light energy into a usable form for processes such as photosynthesis, allowing green plants to prepare their own food. Note, too, there are two forms of chlorophyll – chlorophyll A and chlorophyll B, with the former being the more widely-used form. From chlorophyll we get the manmade derivative chlorophyllin, a water-soluble compound that is obtained by mixing sodium and copper salts extracted from the chlorophyll. Interestingly, chlorophyll’s molecular structure closely resembles the hemoglobin found in human blood – the only significant difference being that iron is hemoglobin’s central atom while magnesium fills that bill for chlorophyll. It is chlorophyll’s magnesium that helps our bodies maintain efficient blood flow while also working to help maintain healthy blood pressure levels. It also enhances cellular growth and restores health in our bodies while supplying us with additional sources of energy. Chlorophyll, a powerful antioxidant as well, which is why it’s been called a “superfood,” per draxe.com, has been found via studies and tests to also help in treating wounds, promoting digestive health and maintaining hormonal balance. Treatment of pancreatitis. Per the National Institutes of Health, the water-soluble form of chlorophyll A has shown positive results in the treatment of patients with chronic relapsing pancreatitis, with “fairly favorable effect” or “some favorable effect” evident in 32 of 34 cases. A natural deodorant. A study, per healthline.com, of people with a condition known as trimethylaminuria, in which emanating fish-like odors can be detected, revealed that chlorophyllin greatly reduced the presence of trimethylamines. Per webmd.com, chlorophyll can also cut down on colostomy odor, referring to the aftermath of the medical procedure in which a surgical opening made in the abdomen permits intestinal waste to be collected in a colostomy bag worn by the patient. Weight loss. 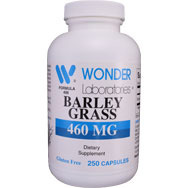 A study utilizing a plant membrane supplement that contains chlorophyll found that people taking the supplement daily had a greater weight loss than those who didn’t take it. Quicken healing of wounds. Chlorophyllin has been used in some ointments since the 1940s, per draxe.com, and is believed to reduce the rate at which harmful bacteria reproduce, thus expediting healing and staving off infection. Detoxification. Its purifying qualities include promoting an abundance of oxygen and healthy blood flow that aids in ridding our bodies of impurities and toxins, per organicfacts.net. Kidney stones. The vitamin K in chlorophyll combats the formation of kidney stones by forming essential compounds in the urine and assisting in slowing the growth of calcium oxalate crystals. Strengthen immunity. Chlorophyll’s alkaline nature makes it suitable for bolstering cell walls and the body’s overall immune system. Chlorophyll also has been described as an oxygenator, with an ability to bolster’s the body’s ability to fight diseases, increase energy levels and speed up the healing process. Blood clotting. Vitamin K makes chlorophyll effective in stopping nose bleeds and reducing menstrual bleeding in women. Treat arthritis pain. Chlorophyll has anti-inflammatory characteristics useful in reducing arthritis pain as well as the pain of fibromyalgia. It accomplishes this, in part, by stunting the growth of bacteria that cause inflammation. Insomnia. 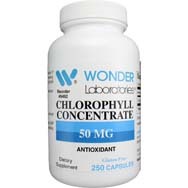 Chlorophyll has been shown to have a soothing effect on our nerves, thus reducing insomnia’s symptoms. It can also help alleviate the symptoms of nervous irritability and overall body fatigue. 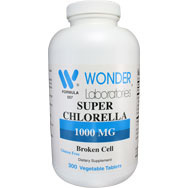 Chlorophyll comes in several different forms as a supplement, among them as tablets, ointments, sprays and liquid. 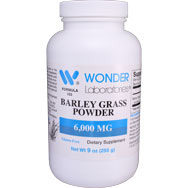 It can be found over the counter at health food stores, pharmacies and natural food shops.